Those who are young may not be overly concerned with ways to reduce cholesterol. If they want to keep it that way, then doctors are recommending that they start the monitoring process young, and repeat it often to make sure they are on track with their cholesterol numbers. Checking cholesterol involves a simple blood test at the doctor's office with immediate results often available on-site. There are several reasons why early monitoring sets people up for a life time of healthy cholesterol levels. If a diet is the culprit, then dietary changes can be made long before the damaging effects of high cholesterol have caused dangerous plaque to build up on the arteries. The sooner a change to a low cholesterol and low fat diet can be made the better the impact on total cholesterol. If high cholesterol is detected at a young age, you and your doctor can also examine your lifestyle. Do you smoke cigarettes or drink large quantities of alcohol? Are you physically active? By increasing the amount of exercise you do each week by even adding one more workout, you can reduce cholesterol significantly. 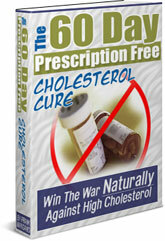 It does this by increasing the good cholesterol, HDL cholesterol, which helps reduce total cholesterol. Early monitoring of cholesterol levels will also give your doctor a baseline number for each check up. If you have a family history of high cholesterol this is especially important to help you determine what risk factors you can eliminate before cholesterol becomes a health issue for you later in life.